Last week I heard about a cool LA Event that was happening at the Pacific Design Center in West Hollywood. It's one of the many places that I've never been to, but every time I drive by it, I say to myself I want to go there. 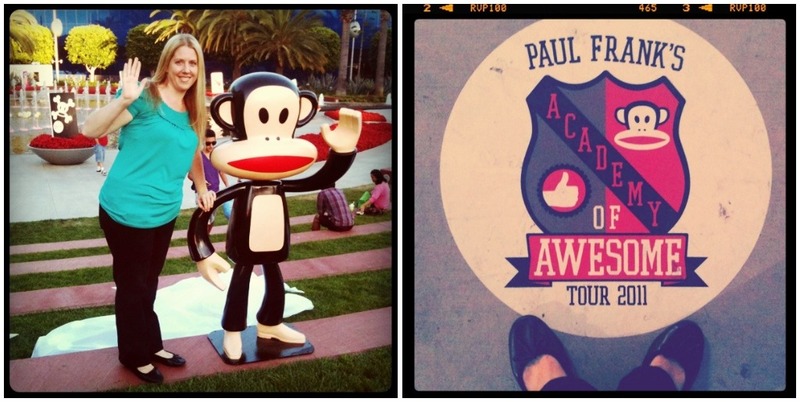 A few of my lady friends said they were heading down to a fun event involving Paul Frank Industries & I wanted in. 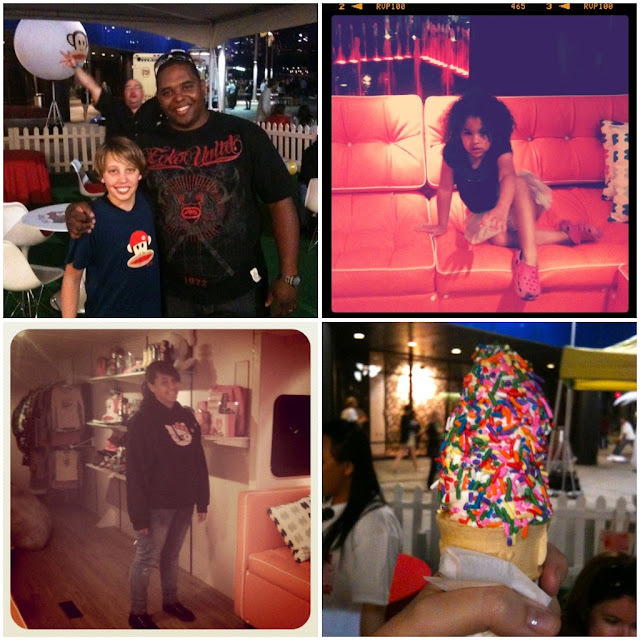 It was filled with Music, Art, Celebs & So Much More! 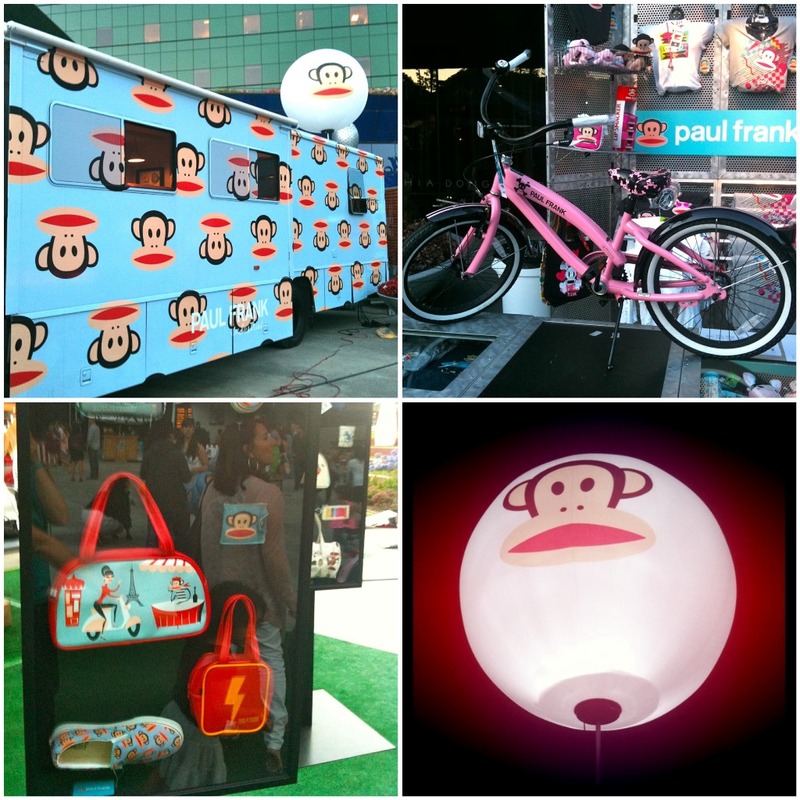 We have long been fans of Paul Frank & that cute little Monkey, Julius. 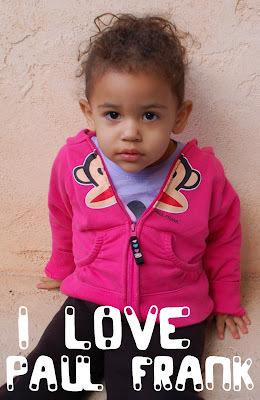 Here's my daughter in one of her favorite sweatshirts. But if you want to get your own check out their ONLINE STORE. 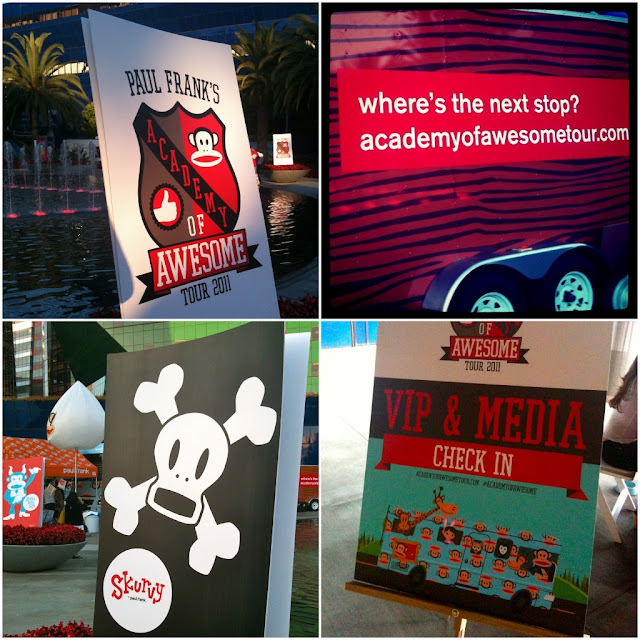 The Awesome people at Paul Frank have just launched US Tour called (appropriately enough) The Academy Of Awesome Tour... Coming soon to a city near you! Check out the sweet Winnebago as it travels across the country! Here is the RV TOUR SCHEDULE. This tour has super fun things that you & your kids will enjoy. Activities like a Gnarly Creation Station, Battle of the Bands, Food, Drinks, Kidzapalooza, Jumpers, Swag, Photos, Balloons and all of the Paul Frank gear (new & vintage) that you could possible imagine! My husband even designed a Tee Shirt for them. Go CHECK IT OUT & vote for his creation! Then after you do that, go and MAKE YOUR OWN design!